Throughout December, Flagstaff Arts and Leadership Academy students have been raising funds to help victims of the Paradise, California wildfire – including dance instructor Cori Wall Mee’s family – rebuild their beloved town. Eli Cohen, the new executive director at Flagstaff Arts and Leadership Academy, is hoping for a bigger, bolder future for the school. After 12 years of guiding the growth of Northland Preparatory Academy, Superintendent Bob Lombardi is stepping down. Lombardi said he’s enjoyed the years he’s spent at NPA helping the campus, the students and the staff grow from about 360 students in 2006 to 640 students today. The school has a 99 percent graduation rate with the majority of its graduates heading to college. Two Flagstaff Arts and Leadership Academy seniors are following their hearts for the arts after high school. 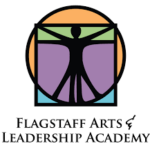 A member of the governing board at Flagstaff Arts and Leadership Academy will step down in order to fill the position of interim executive director at the school. According to an email from the FALA Board of Directors, the board chose Eli Cohen to fill the position after interviewing four candidates on March 28. The motion to appoint him passed unanimously and Cohen was accepted. 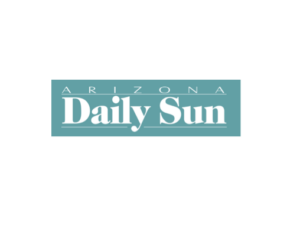 The Flagstaff Unified School District Board and superintendent have come out against the idea of arming teachers or staff with guns in a letter to parents earlier this month. Arizona Revised Statutes currently do not allow guns to be carried on the grounds of public schools or universities unless the person is a law enforcement officer. Although several legislators have proposed several bills since 2008 that would allow guns to be carried on campus, all of those bills have failed. Flagstaff Arts and Leadership Academy is enlisting the help of students, staff and parent volunteers to make a fundraising plan that will hopefully smooth out the school’s finances. The academy finances have always been relatively cyclical because they depend on the number of students enrolled in the school, but recently a number of financial problems have come to a head, leaving the school facing the possibility of a shortfall of about $160,000 at the end of June, said FALA Executive Director Larry Wallen. Your happiest thoughts on stage. Hot Cocoa. Pajamas. Flagstaff Arts and Leadership Academy is working on a plan to smooth out some of the hills and valleys in its annual financial roller coaster. 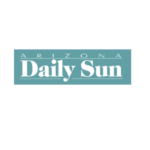 The public charter school is facing the possibility of a shortfall of about $160,000 in cash at the end of June, said Larry Wallen, FALA’s new executive director. Free event for families. There will be local artists, student art for sale to buy unique hand-made gifts and FALA swag. There is a kids corner for craft and gift making, winter wonderland instant photo-booth, food, caroling and more.